Tommy Berry will don the Godolphin blue when he rides Pin Sec in his bid for a third Golden Slipper. 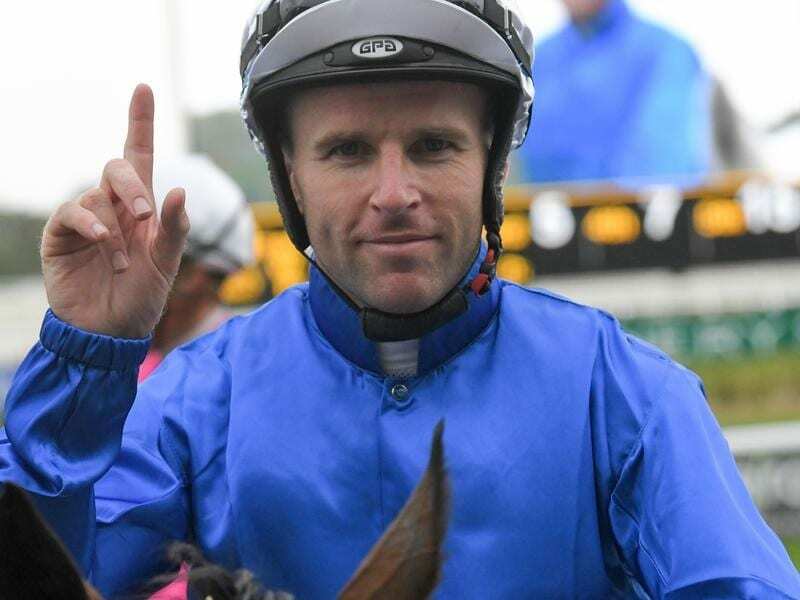 Tommy Berry already has a pair of Golden Slippers and gives himself a genuine chance to snare another when he rides one of a host of chances for global powerhouse Godolphin in this year’s $3.5 million race. Berry won his first Golden Slipper on favourite Overreach for Gai Waterhouse in 2013 before claiming a second two years later on another Waterhouse-trained juvenile Vancouver who also started favourite. This year Berry rides Pin Sec, one of five runners for trainer James Cummings in Saturday’s Slipper. “Three would be nice,” Berry said. Pin Sec burst into Slipper calculations with a dominant win in the Black Opal Stakes at Canberra on her return from a spell after also winning on debut at Randwick on December 26. Berry did not ride the filly in either race but was taken by the two-year-old’s work on a rain-soaked Warwick Farm surface on Tuesday morning in the lead-up to the Golden Slipper. “I galloped her on Tuesday morning at Warwick Farm on the course proper and she just didn’t skip a beat in the ground,” he said. “She just really liked it. “She’s nothing special to look at. She’s a light-looking filly but she’s very athletic and covers the ground really well. “It’s really exciting going forward. “She won a two-year-old race early on in the season and the Godolphin team and James obviously had the Slipper in mind for her so they gave her that break with the mindset of only giving her one run into it because she is only light. Cummings also has first emergency Bivouac as he chases his first Slipper win. Unbeaten filly Tenley and in-form colt Microphone are the leading contenders of the Cummings runners according to the market while Pin Sec is at $16. Cummings’ assistant, former champion jockey Darren Beadman, has labelled Pin Sec “the smokey” of the stable’s Slipper runners while leaning to Microphone as their leading chance from the inside barrier. Last Saturday’s Magic Night Stakes winner Kiamichi threw a slight scare into the Godolphin camp on Friday when she was found to have minor soft tissue swelling to her off-fore cannon. She passed inspection with Racing NSW chief vet, Dr Toby Koenig, saying she was not lame.